From an extensive online library of up-to-date health information to links to other reliable health resources and a wide variety of support programs that encourage healthy lifestyles, MidState is ready to help you enjoy the healthiest life possible. Click here to learn how our Physicians can help you prepare for your trip. Learn how you can reduce Diabetes complications. 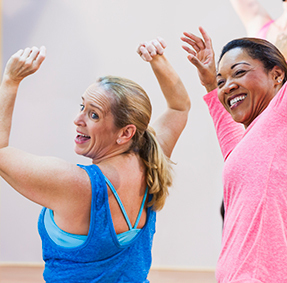 Take a look at our calendar for a variety of classes & events for everyone. MidState has developed strong relations with faith communities of all denominations throughout Meriden, Wallingford, Southington and Cheshire. MidState offers a wide range of support programs to help our patients and others in our community overcome the health-related challenges they face and assist in their return to wellness. 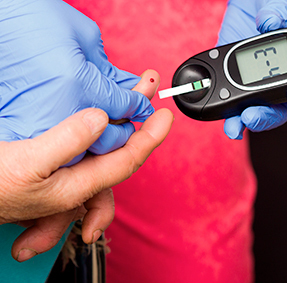 The Diabetes Center provides group education for diabetes management. Whether you are newly diagnosed, or have had diabetes for some time, you can benefit from the information, which includes specific skills and behaviors to reduce the risk of complications. Our Weight Management Program offers you access to individual counseling with a Registered Dietitian. Our experts can make recommendations on healthy eating and other lifestyle issues associated with weight loss and long-term weight management. Having a baby can be one of life's most joyous experiences. Yet it can also be a stressful time for parents and their families. MidState offers a whole range of support programs to help you prepare for the arrival of your newborn. According to the Centers for Disease Control and Prevention (CDC), heart disease remains the number one killer of men and women in the U.S. For many, however, the risk of heart disease can be lessened by following a healthier lifestyle. A few simple changes in your lifestyle can make a big difference in your health. Learn more here about MidState Medical Center's variety of programs for a healthier lifestyle. This professionally facilitated interfaith group is open to all bereaved members of the community. The local food pantries in our area would like to provide a variety of food for their clients. This would include items for special diets. Please take a moment to consider supporting the pantry, and our neighbors who utilize them, by making your donation a healthy food donation from the many choices on this list.